You launched your website six months ago and did your research well; your website’s design is pretty neat, and you studied your content well but, your analytics show meager ratings. Your viewers seem to be leaving. 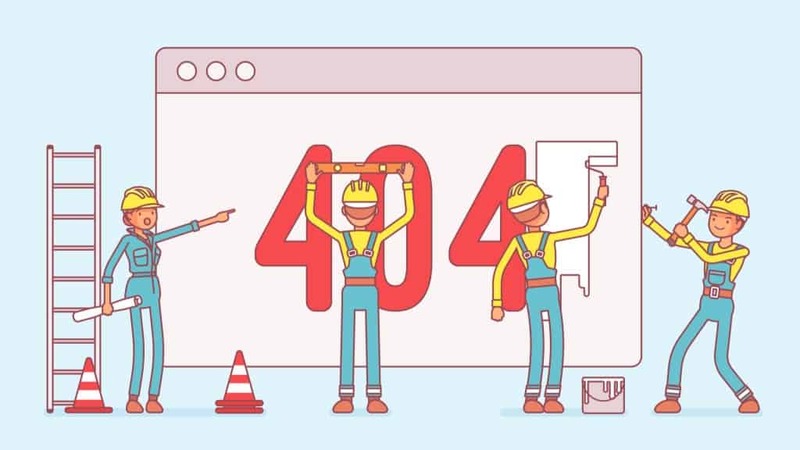 It appears like there’s a problem on your website, but you can’t find it. Yes, you need those ads to boost profit, but studies show that having too many of these irritates viewers. What can you do to fix this? Keep a minimal number of ads as your content is more important. Too many promotions will distract your viewers and will probably leave your site. Place it in strategic places. They are usually placed in tiny corners or on the sidebars. The font size should always be smaller than your content – and more importantly, your logo. Seek help from digital marketing experts like https://sixgun.com.au on pro tips on how to handle your ads. The design always matters. Before viewers get to spend time on reading your article, they will take a glance at how your website looks. If your model is outdated and messy, your viewers will most likely look for another site with a fresher and cleaner look. Keep your design updated from time to time – once a year will do. As the saying goes, the first impression lasts. In writing, your penmanship should always be legible. This applies on your website, too. Remember, what’s important is your content. Make sure your viewers can read your content with ease. Never put your wording against a colorful and confusing background. Go basic. Dark letters should always go against a bright background and vice versa. Keep your fonts consistent. One font for headings, one font for subheadings, one font for the text proper, one font for other tabs, etc. ; Do not keep playing with fonts. Keep your font size on the safe side. 12px-16px is usually the best for the text, while 22px is best for topic headlines. Users find it hard to tell whether they are in your homepage or not. Your reader cannot even search for information quickly, as your search option is hard to find – or worse, you do not have a search option. All of your content is on one page. You did not subdivide into headings and subheadings. Organizing your content by type or by topic is always very important, as it will give users an idea of where to click and where to find particular content. They don’t have to keep scrolling up and down. Often you may be tempted to put this – and put that there. There’s always something you want to add to your website, a photo here, and a video there. But, like advertisements, putting too much multimedia will do more harm to your site. Video production file sharing should also be done efficiently. Plus, excessive use of photos and videos will also slow down the loading speed of your website. One photo (or video) per content is enough. Remember to take note of the size of your photo and videos so that they do not destroy the overall look of your blog. Do not put your videos on auto-play. You’ve already clicked through the content that you were searching. You read the article with so much focus. Suddenly, a pop-up appears on the screen asking you to register, to subscribe or to answer a question. These pop-ups are very irritating. Indeed, no user will ever be happy in this situation. Website experts have found that more and more users choose to leave a website when they are “forced” to register and sign-up to updates, newsletters and the like. Give your users a choice. Do not “force” them into signing up by allowing them to register through pop-ups. It’s better to put a tab, or a space for this on the bottom of your website instead, much like the “Contact Us” option. If a viewer really must register first before they can access your site, give them an incentive instead, or even a simple preview or demo. Some websites offer sign-up rewards or gifts, or free demos. “Hi, I’m Cris and welcome to my channel. If you haven’t already subscribed, please hit the subscribe button if you’ve love to hear more about certain topics on writing, etc.… I post videos twice a week, every Wednesday and every Saturday. I would love for you to stick around!”? Having an introduction like that informs viewers of how often – and when – you post new content so that viewers have something to look forward to on those days of the week. It is through this fixed schedule that users become regulars to your site. Fix a timing and a frequency of when you usually upload new content. Be personal and interactive. Add some personality to your website – something that makes it truly unique, even if there may be hundreds out there offering the same content as you are. The best tip that you can follow is to always put an Introduction/About Us/Contact Us section on your homepage. Users love it when they know more about you, the company, and when they also know how they can contact you. Doing this will put you on an entirely personal level with your users. These reasons are all like little holes in our website that we used to be unaware. Now that we have an idea about these mistakes, here’s hoping that you can fix these issues – so your beloved users will stay. Remember, attracting and gaining these viewers and subscribers was already hard for you to achieve in the beginning. Do not put all your efforts to waste by taking the risk of them leaving your website. Evaluate your sites based on the enumerated reasons, and make your readers stay. This entry was posted in Technology Advice on December 4, 2018 by Michael Pignataro.